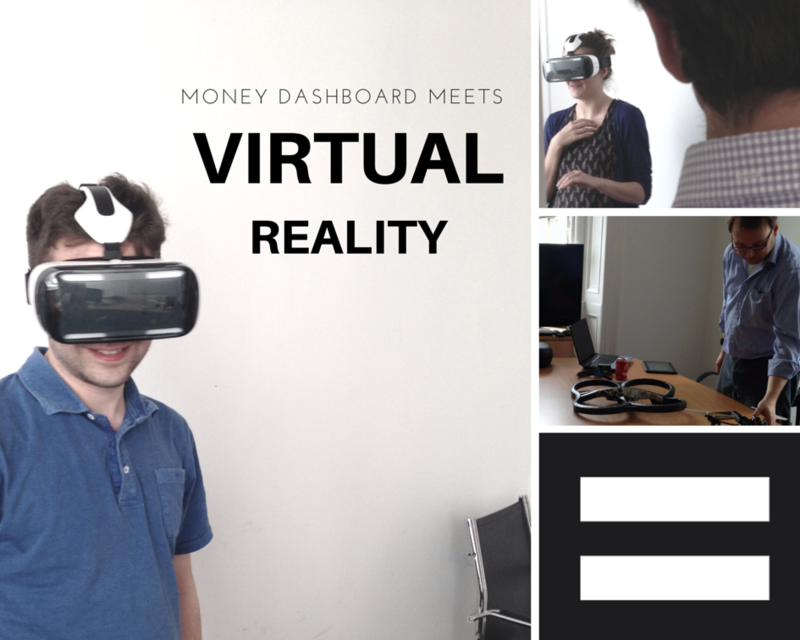 It's been a great year for Money Dashboard reaching a record number of users and helping more people than ever to be good with money. So we treated our team to a gadget lunch where the very cool guys over at Realise brought a fancy Virtual Reality headset and mind control drone for the team to experiment with while we all kicked back with some tasty lunch from Social Bite. The mind control drone that was brought in was by far one of the coolest pieces of tech we've seen here at Money Dashboard. A drone is connected to a sensor which then triggers programatic movements in the drone. The idea being that if you can concentrate really hard, the drone will fly higher or start to do pretty acrobatic summersaults. The team also got to try the new Samsung Virtual Reality (VR) headset. This works with a mobile phone slotted into the headset and then users look through the googles at the fully immersive film clip to go through the 'VR experience'. "It was really cool. I chose a Jurassic World experience, and a dinosaur came so close i backed up to the wall. So realistic and fun." Money Dashboard is a personal finance management tool and is an award winning service that is free and secure for all those with UK bank accounts. You can watch an overview of what Money Dashboard does and how you can use it to budget by watching our Money Dashboard overview video.